Giving back to our community is a core part of the Convertus culture. Thank you so much for your generous donation of a new website and re-design for our program. This is a huge gift to us and has already assisted in raising awareness about our organization and helping trafficked persons across Canada. We are so grateful for your creativity, openness, and generosity. Giving back to our community has been a core part of the Convertus culture since day one, and thanks to a successful few years as a company we now have the resources to make some big changes! There are many phenomenal not for profit organizations out there, and we hope that one day we will have made an impact on many of them. 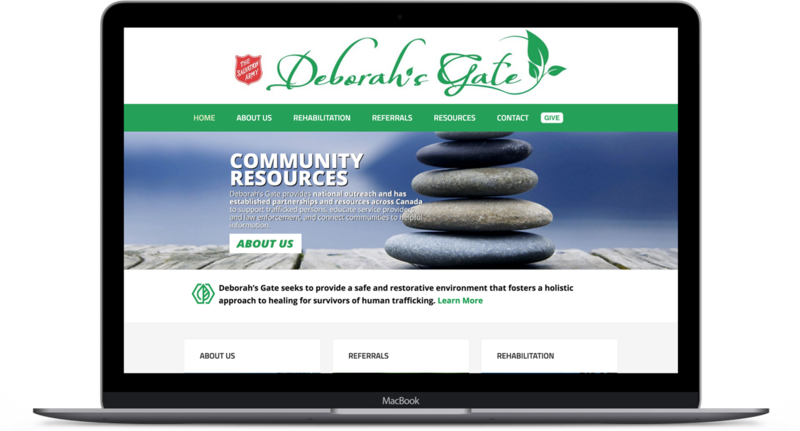 Our first big project is for The Salvation Army Deborah’s Gate, a remarkable place for survivors of human trafficking across Canada to heal through the organization’s high security safe house, individualized care plans, and essential life resources such as medical care, education, activity, and much more. Although we think we have big hearts here at Convertus, the hearts of the wonderful people at Deborah’s Gate are beyond compare. 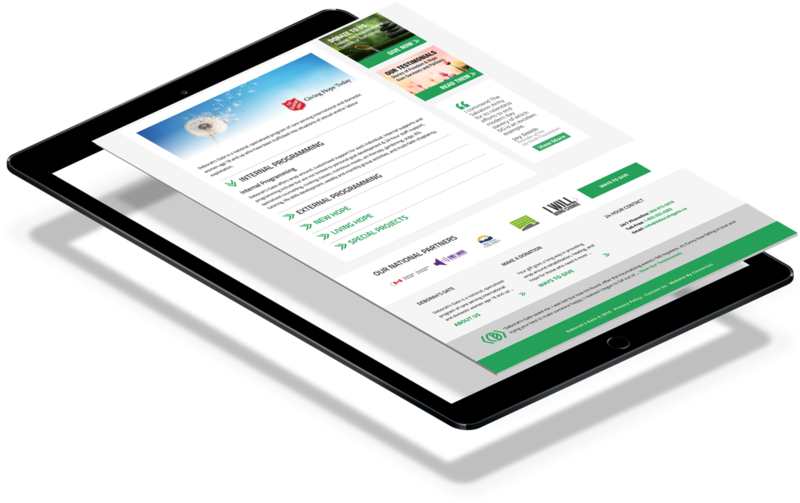 We wanted to help this extraordinary cause out any way that we could, so we thought offering to rebuilding the organization’s branding and website was a good start! I think the website is fantastic. In particular, I appreciate how the website communicates a message of hope and healing, and has a very user friendly format. We worked closely with Deborah’s Gate to zero in on the message they wanted to communicate through their branding. This includes reflecting the organization’s welcoming approach, caring services, and abundant resources throughout. We made it our priority to ensure all elements of the website portrayed a feeling of hope, healing, and freedom. We also wanted to ensure no matter where you are on the website you can still find out how to donate or contact them easily. Our next project with Deborah’s Gate involves re-creating brochures to keep branding consistent both online as well as offline. We cannot wait to reveal the finished product and see what effects these changes will have on this wonderful organization for years to come!